1 Uh-oh! 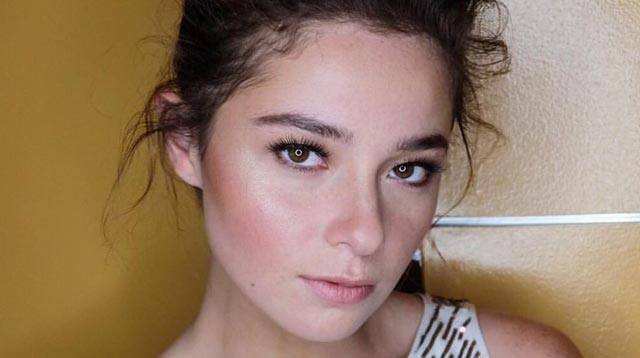 Things between exes and co-parents Andi Eigenmann and Jake Ejercito might get even more complicated. A gossip blog reported that Jake's planning to petition for joint custody of their daughter Ellie and Andi was not having it. She opened up about it during a press conference for her show The Greatest Love: "Parang na-alarm ako kasi, my God, ano ba 'yan! Lumalaki na si Ellie. She's five years old and before anything else, do you really think that exposing her to this kind of limelight, to this kind of parang...ka-cheapan, will be good for her?" Andi continued, "If this is really not for your ego, for your pride, or for, I don't know, or out of spite because you hate me so much...If this is really because you just love your daughter and you want what's best for her, I also want that agreement. I also want that joint custody." 2 Baby Burnand just got baptized! And of course, all of Archie's proud ninongs and ninangs showed up all decked in white. 3 It's the moment we've all been waiting for: Coldplay is finally in Manila! 4 Our girl Tyra Banks just changed the game in a major way: America's Next Top Model became a little more inclusive because now auditions are open to models of all ages! 5 Let's throw it back and celebrate Poblacion's art and history this Thursday! See you there?